Brining together the disparate creators of the World of Darkness resulted in a much more balanced exploration of White Wolf's history. The emphasis on live-action roleplay consequently mean that other aspects were not as deeply explored. A great documentary that examines the broader cultural impact of the World of Darkness. White Wolf’s World of Darkness, which primarily compromised Vampire: The Masquerade, Werewolf: The Apocalypse and Mage: The Ascension, was one of the most iconic roleplaying franchises and its influence extends far beyond the realms of gaming. Much of the recent portrayal of supernatural creatures could be tracked back to this series. World of Darkness: The Documentary charts the creation and development of the World of Darkness in 2001, through the meteoritic rise of White Wolf, to when the series concluded the game’s metaplot in 2004, and the legacy it left behind. It is credit to the documentary’s creators that they were able to bring together such a disparate group of individuals, many of whom have all gone their separate ways. Central to this story is Mark Rein-Hagen (interviewed here), who created Vampire: The Masquerade, as well as Steve Wieck and Stewart Wieck. Rather than discussing their time with the World of Darkness through rose-tinted glasses, these are surprisingly frank conversations that discussed both the high and low points of their journey creating the World of Darkness, such as the meteoritic rise of White Wolf, through to the table-top gaming slump in the early 2000’s. 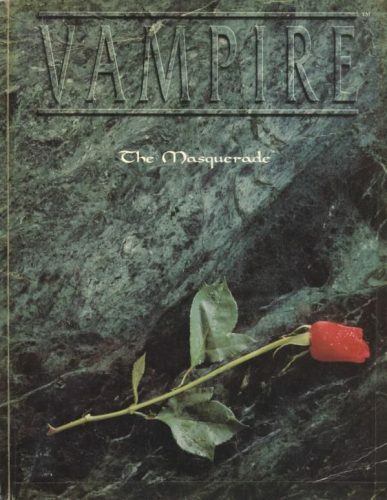 The documentary also examines the impact that the World of Darkness has had on society, looking at the television series based on Vampire: The Masquerade (Kindred: The Embraced), as well as the films and television shows were that influenced by the World of Darkness. The documentary focusses on the LARP element of the World of Darkness (otherwise known as the Mind’s Eye Theatre System), which was a major focus on the World of Darkness franchise. However, the documentary spent paid overly long focussing on the different players involved in the game, rather than on the creators involved in the development of the game. A consequence of this is that whilst many of the major topics pertaining to the World of Darkness’s development are discussed, they are rarely explored in depth. As such, we are left with tantalising nuggets of information, rather than a complete picture. Nonetheless, anyone with even a vague interest in roleplaying games and/or modern-horror gaming should take the time to watch World of Darkness: The Documentary. Lasting only 85-minutes, this is a concise profile of one of gaming’s most iconic franchises. It is also currently free when subscribed to Amazon Prime.